Virginia L. Brown 78, of Beatrice, died Monday evening, March 25, 2019 at a Lincoln hospital. She was born on April 6, 1940 at Beatrice and attended school in Beatrice. She married Billy B. Brown on July 9, 1960 at Marysville, KS and they lived in Beatrice. She was a member of the First Christian Church of Beatrice and enjoyed housekeeping and flower gardening. Survivors include her son, Jack R. Carel of El Paso, TX; step-son, Mike Brown of Beatrice; two step-granddaughters, Stacy (Cory) Edeal of Beatrice and Lisa Brown of Rogers, AR; two step-great-granddaughters, Grace and Allison Edeal; two brothers, Gale Carel of Beatrice, and David (Ponciana) Carel of Memphis TN; one sister, Sandra Oltman of Beatrice; nieces and nephews. 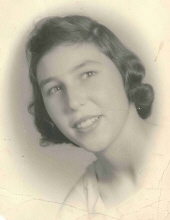 She was preceded in death by her parents, Elmer and Rose J. Bursovsky Carel; her husband, Billy, who died on January 4, 2011; step-daughter, Kathryn Stephens; three brothers, Larry and Elmer Vernon Carel and Jack Bursovsky. Funeral services will be held at 10:30 A.M. on Monday, April 1, 2019 at Fox Funeral Home of Beatrice with Rev. David A. Bigley officiating. Burial will be at the Evergreen Home Cemetery of Beatrice. A memorial has been established to the family’s choice. The body will lie in state at the Fox Funeral Home of Beatrice from 12:00 noon to 8:00 P.M. Sunday and at the funeral home one hour preceding the services on Monday. www.foxfuneralhome.net Fox Funeral Home of Beatrice is in charge of the arrangements. To send flowers or a remembrance gift to the family of Virginia L. Brown, please visit our Tribute Store. "Email Address" would like to share the life celebration of Virginia L. Brown. Click on the "link" to go to share a favorite memory or leave a condolence message for the family.